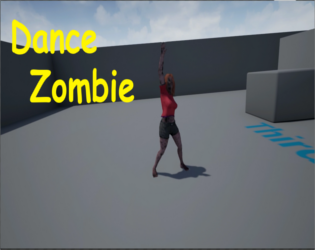 Just playing around in ue4 might add some more and fix the jumping animations, will end up with a set up so they can preform. Exiting game instructions are in folder look for exiting game or just press ALT+F4. Walk in front of zombie to trigger the Thriller by Michael Jackson. Go to view what it is. Updated 6-18-2016- Added More zombies stopped sound and animations when not in range, everything resets, expanded level.